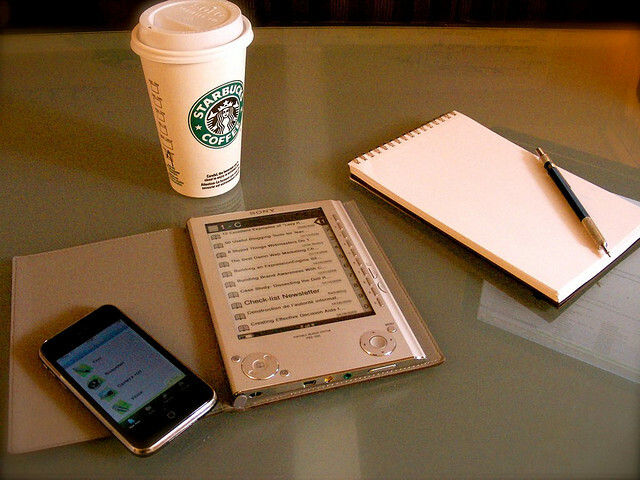 Are you always the person who turns up late for meetings? Or do you get nervous about forgetting your sister’s birthday every year? Whether you’re worrying about missing an important deadline or forgetting your best friend’s birthday, the Things app could be just what you need. It allows you to manage to-do lists and anything else you need to remember, as well as being able to sort tasks into different folders depending on when they need to be completed by. 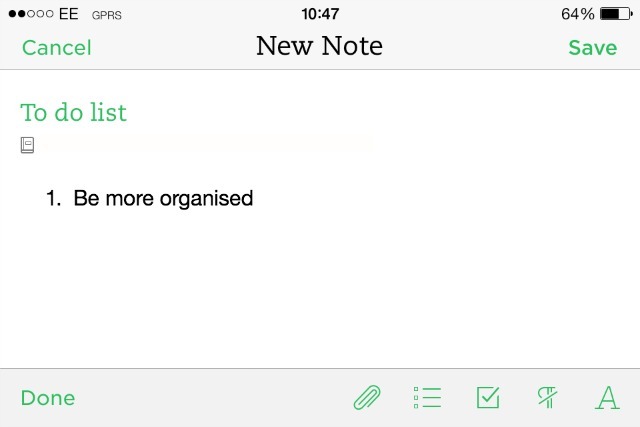 If you’re always looking for or seeing new things, you’ll love Evernote. The app allows you to keep everything you find all in one place so you can access any time you like. Great if you’ve just been given a film recommendation, stumbled across a new website or need to know what time your train is about to leave. This app promises that you’ll never forget the milk (or anything else) ever again. 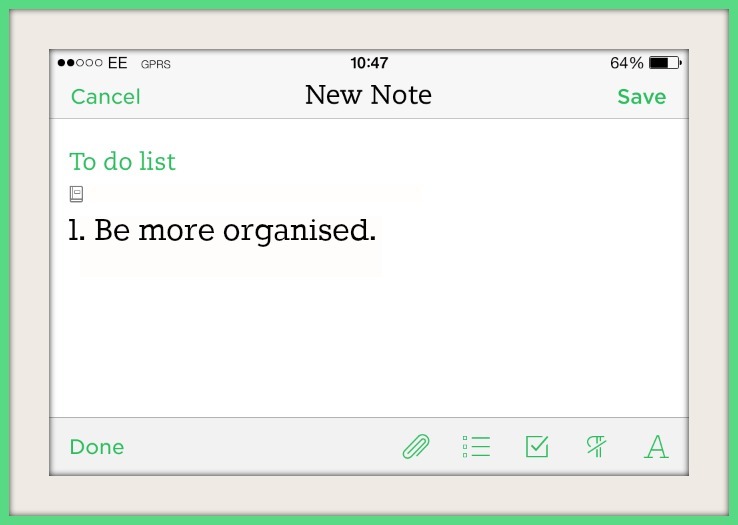 It’s the ultimate to-do list, allowing you to organise tasks and send reminders to yourself via email or text message. It also integrates with your Google Calendar or Siri on an iPhone, perfect if you’re a little bit forgetful. A great tool for managing your finances, Shoeboxed helps to keep track of your expenses without having to store hundreds of receipts at home. Simply scan a receipt or document and the app will categorise and organise it for you in your account. Have your very own personal assistant at your fingertips with the Google Now app. Find breaking news stories, current weather conditions, driving directions, appointment details, traffic alerts and much more – in fact, it’ll probably become your new best friend! This app will organise and categorise your spending so you’re able to see where every single penny goes. Sort your spending into categories such as rent, clothing and transport and stick to specifically designed budget plans so you have more cash available for the things you really want. This is a must-have app for anyone trying to run a busy family home. With so many things going on, it can be hard to keep on top of everything, so the Cozi app is ideal. Keep track of things like dentist appointments, shopping lists and what time to pick the kids up from football practice – your life will be made a whole lot easier. There are few things more annoying than going to buy something from the supermarket only to get home and find your other half bought the exact same thing. So step forward the Grocery IQ app! The app coordinates and shares shopping lists, allowing different members of the household to see what’s already been bought and what they still need to get. Update multiple social networks such as Facebook, Twitter, LinkedIn, WordPress and more, all together. This app gives you access to all the social streams, keeping you updated and in constant touch. Ciymapper covers all the big cities and (unlike so many other mapping apps) is on top of public transport so can really help you plan journeys via train, bus, bike, or ferry. Get there safely and on time with this friendly little app. We hope that these organisational apps will help you as much as they have helped us and for more life enhancing tips, check out these fun ideas on health and well-being. No problem at all - we found your app to be a great fit for this post and if we need a resource for financial management in the future, we'll certainly be in touch.